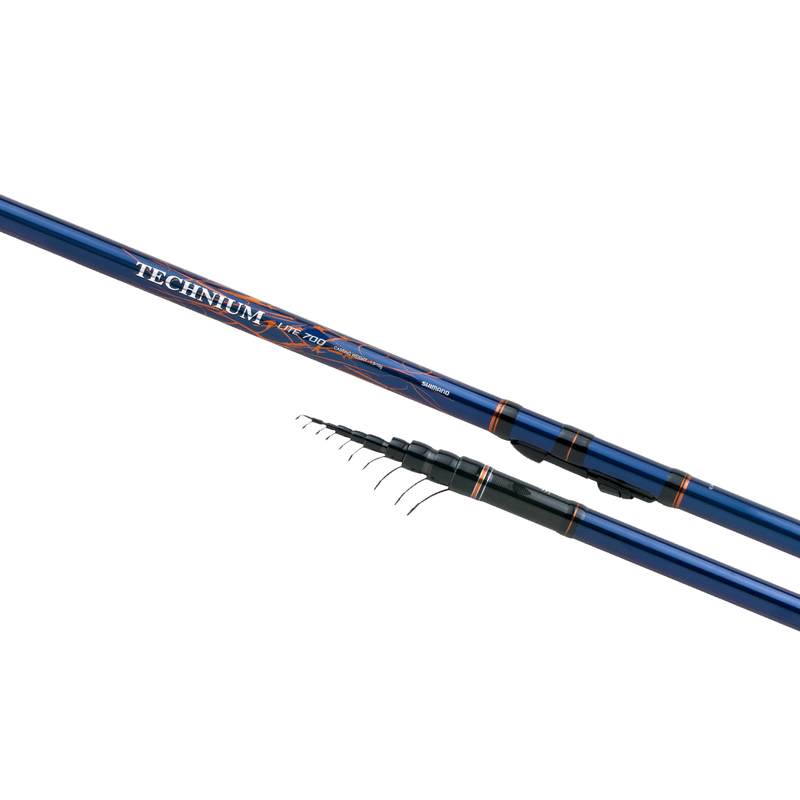 No river is too wide or too fast flowing for our complete and new range of Technium rods. Ideal for Bolognese style fishing, this is the seventh generation, needing little introduction. With models ranging from 5 to 7 meters in length, there is a rod to meet the needs of even the most demanding angler. The rods are fitted with Pac Bay Minima 4 guides on the blank for perfect line management and Shimano Plate reel seats for perfect fixation of your reel. The blank is made out of HPC100+Biofibre resulting in a very strong yet lightweight blank. The rods are supplied in a cloth bag and the guides are protected by a plastic protector to avoid damage during transportation.